If I could choose two phrases that would be introduced into every household and school across the land, it would be “put-ups” and “put-downs.” These are two of the most powerful concepts I have ever taught in the classroom or to my own children. Equipping young children with a deep understanding of these terms gives them the ability to communicate feelings, which may have seemed almost intangible before. The language of put-ups and put-downs provides children with the skills needed for them to speak up for themselves as well as to stand up for others. Simply stated, “put-downs” are words or actions that make people feel bad, and “put-ups” are words or actions that make people feel good. It is a simple concept to teach, and the impact can be profound. Ask your child to brainstorm real-life examples of both put-ups and put-downs. Next, invite them to spread the kindness by using a put-up paper to write put-ups to friends and loved ones. 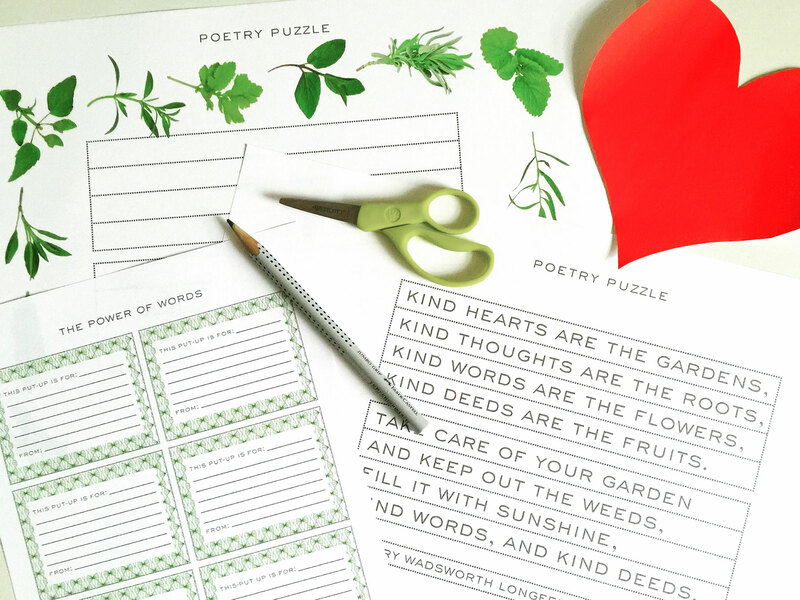 Once you have the concept of put-ups and put-downs, you enjoy our kindness poetry puzzle! Poetry is a wonderful way to explore a variety of different abstract concepts such as, kindness. In the lesson below, children will use the example of a poem by Henry Wadsworth Longfellow to see how he used nature as a metaphor for kindness. 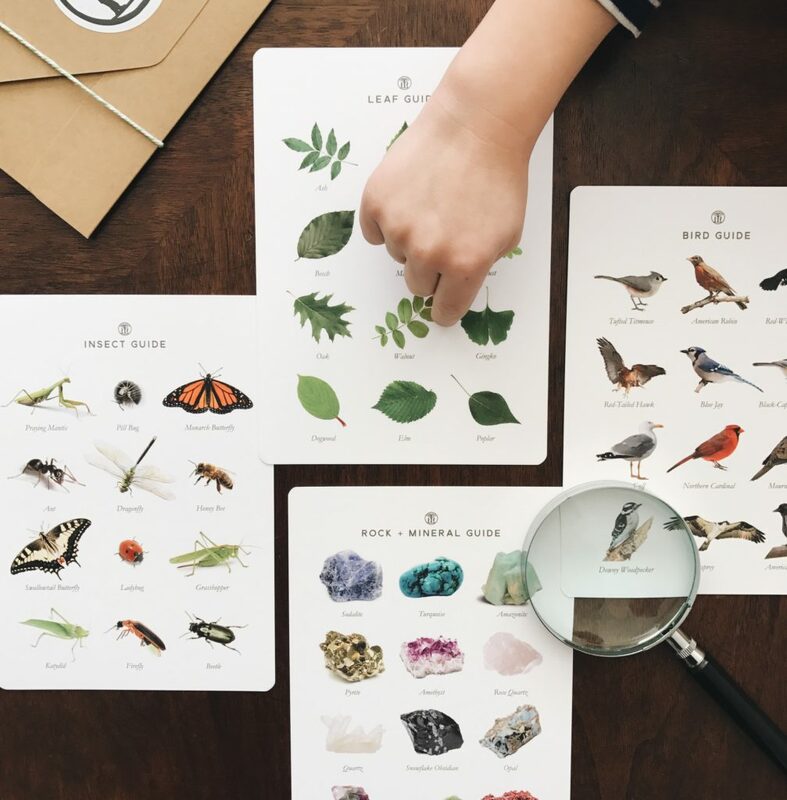 This poetry puzzle format offers so many opportunities for strengthening early literacy skills such as sequencing, letter and word recognition, and reading withe fluency and expression. Begin to incorporate the words “put-ups” and “put-downs” into your daily conversations. Point out when you hear someone giving a put-down and brainstorm ways of saying the same thing differently so that it does not feel so negative. On the same note, point out the “put-ups” that you hear your children giving or receiving. You will be amazed at how quickly children begin to integrate this concept into their hearts and minds.